Aside from your bed, your sofa is one of the most used pieces of furniture in your home. It’s where you curl up on a Saturday night with a glass of wine and a bowl of popcorn to watch a film; it’s where your children lay when they’re too poorly to go into school; it’s where your pet dog is comfiest. But all this daily use can take its toll on your sofa, so it’s vital to look after it properly. When you’re vacuuming your living room each week, take the time to run the vacuum over your sofa too. Pull any removable cushions off and vacuum any dirt and crumbs away before they get bedded into the cracks of your sofa. Use the upholstery attachment to vacuum the arms, body, and cushions of your sofa to remove and surface dirt and dust before it becomes ingrained. Ensure that you do this at least once a week to maintain your sofa in between deep cleans. If your sofa has loose cushion covers that can be removed then take them off and clean according to the instructions. If they can be machine washed then make sure to replace the covers whilst they’re still wet in order to recreate the shape and fit. If they’re dry clean only they shouldn’t lose shape when they’re removed and cleaned. 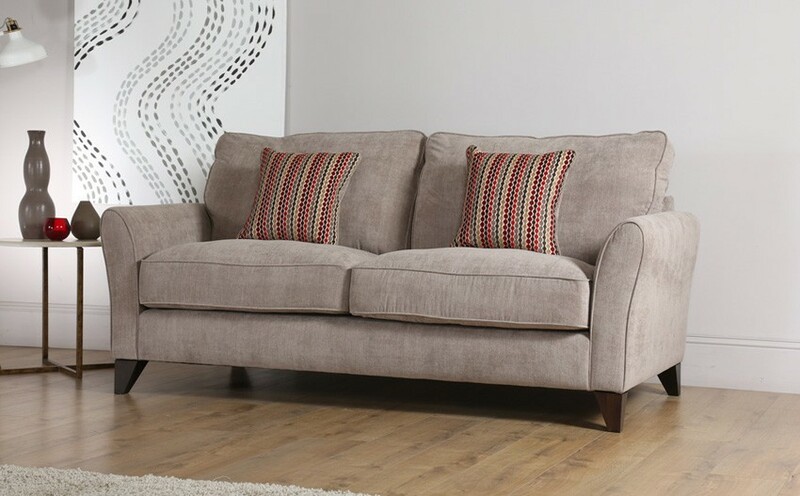 If your fabric sofa covers aren’t removable but they are washable then they can be cleaned in situ with a mild solution of washing up liquid or laundry detergent mixed with warm water. Test an inconspicuous area of the fabric first and allow it to dry. Don’t get the fabric too wet, your sponge or cloth should be damp rather than sopping wet. After cleaning an area use a dry cloth to soak up as much of the moisture as possible, then open the windows and allow to air dry if it’s a warm day, or use a hairdryer. If there are stronger stains that can’t be removed with soapy water then try adding a dab of neat white vinegar to the area, followed by a mild soap solution. Use clean water to remove the soap solution, and absorb what you can with a dry cloth before air drying or using a hairdryer as above.